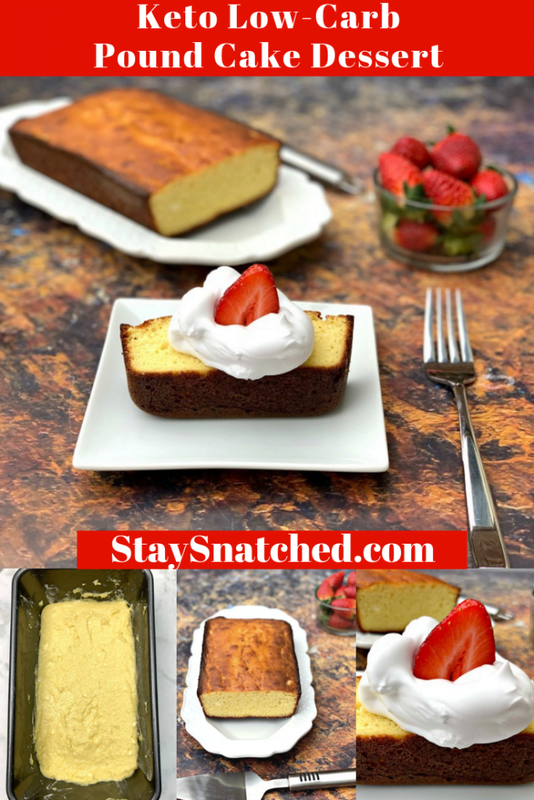 Keto Low-Carb-Gluten Free Pound Cake is a quick, easy, healthy recipe using lemon, butter, almond flour, sour cream, and cream cheese. Make your own sugar-free, no-carb cake mix in no time. You can use a bundt or loaf pan in this recipe. Add blueberries, chocolate, or other carb-free toppings. This cake is light and moist! Coconut flour is not used in this recipe. 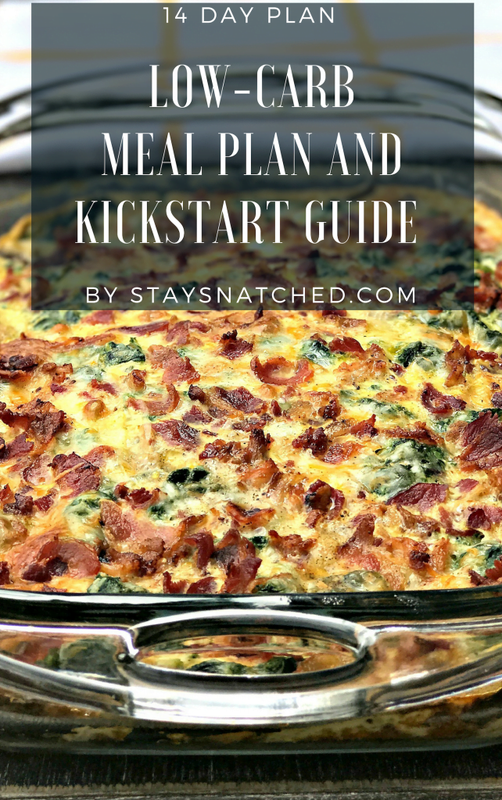 Let this 14 Day Keto Meal Plan do all of the heavy lifting for you! 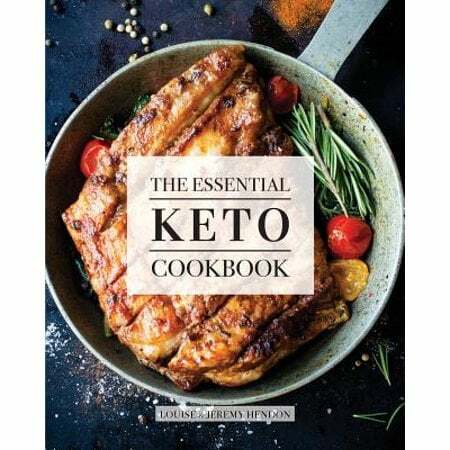 It includes: Recipes: Breakfast, Lunch, Dinner, and Snacks, Grocery List (itemized and weekly), Low Carb Keto Lifestyle Background, how ketosis works, and how to stay in ketosis, Low Carb Dining Out Guide (what to order), and a Low Carb Travel Guide (how to travel and stay low carb). Why is Pound Cake Called Pound Cake? Pound cake traditionally calls for 1 pound of each ingredient used in the recipe. One pound of sugar, eggs, and flour is used. 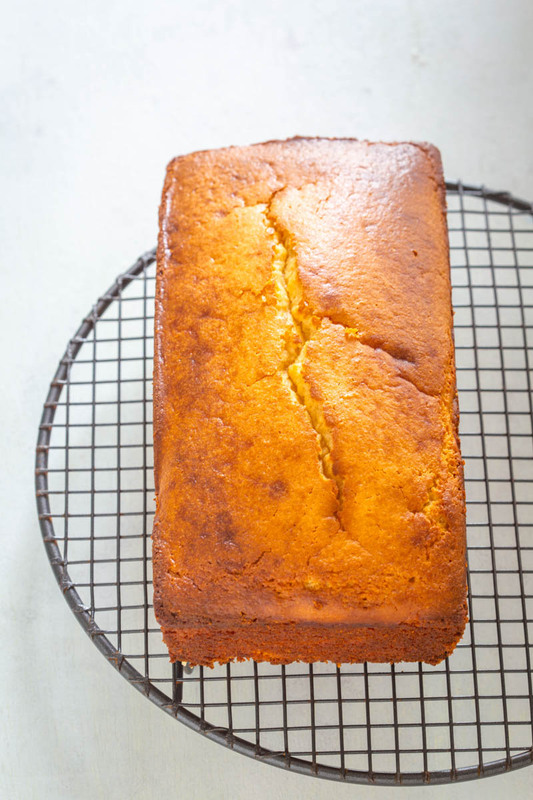 Check out this post on How to Make Pound Cake. 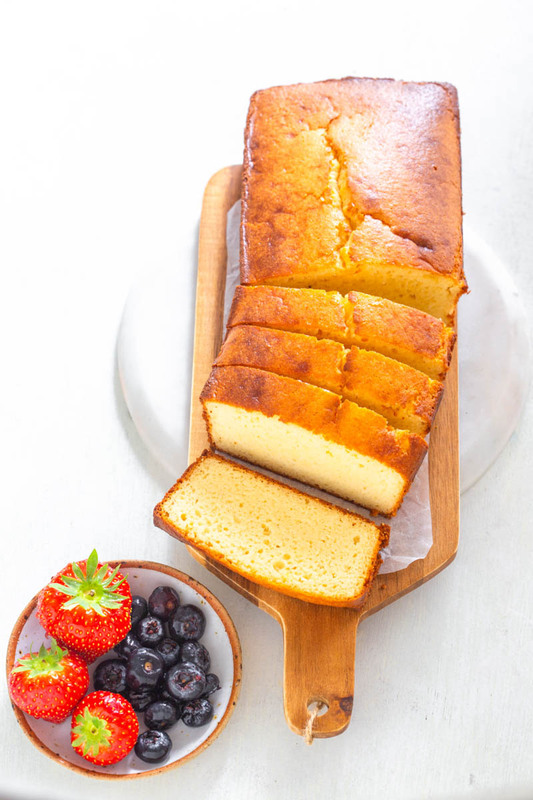 What Are The Ingredients for Keto Low-Carb Pound Cake? The ingredients include Almond Flour, eggs, sour cream, cream cheese, butter, vanilla extract, lemon extract, and Swerve Confectioner’s Sweetener. 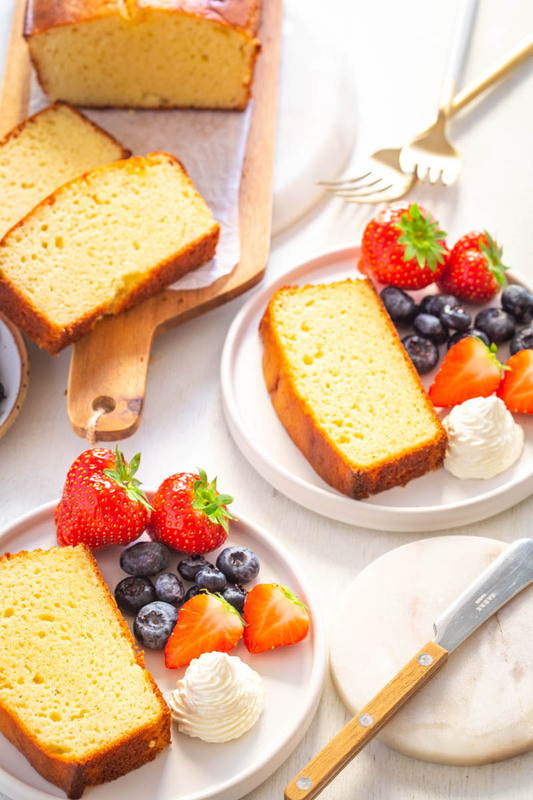 How Do You Make Keto Low-Carb Pound Cake From Scratch? Combine the wet and dry ingredients separately. 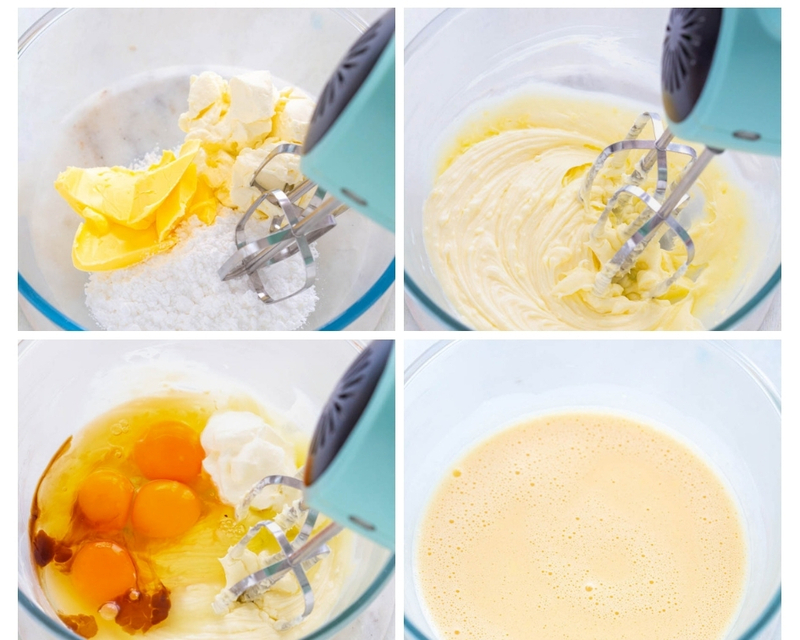 Beat the wet ingredients with a hand mixer. What is the Difference Between Sponge Cake and Pound Cake? A sponge cake is very foam like. What’s interesting is, I’m not a huge fan of sponge cake. A pound cake is made with butter, which creates a different texture. Can You Substitute Coconut Flour in This Recipe? No, coconut flour is not interchangeable. It absorbs moisture much differently than almond flour. What Desserts Can You Eat on Keto Diet? Is Chocolate Ok For the Keto Diet? Unsweetened chocolate is great for keto. I also really enjoy Lily’s Chocolate products. Remove the wet ingredients (eggs, cream cheese, sour cream, and butter) from the fridge and allow them to come to room temperature. While using a mixer, beat at medium speed. Do not overbeat the batter. Over mixing will lead to crumbles in the cake. If you use a bundt pan for this recipe, sizing will vary. Place the cake in the center of the oven. Keep the door closed. Limit your check-ins, when you do check in, open and close the oven door gently, to avoid a loss of heat and/or the cake falling. 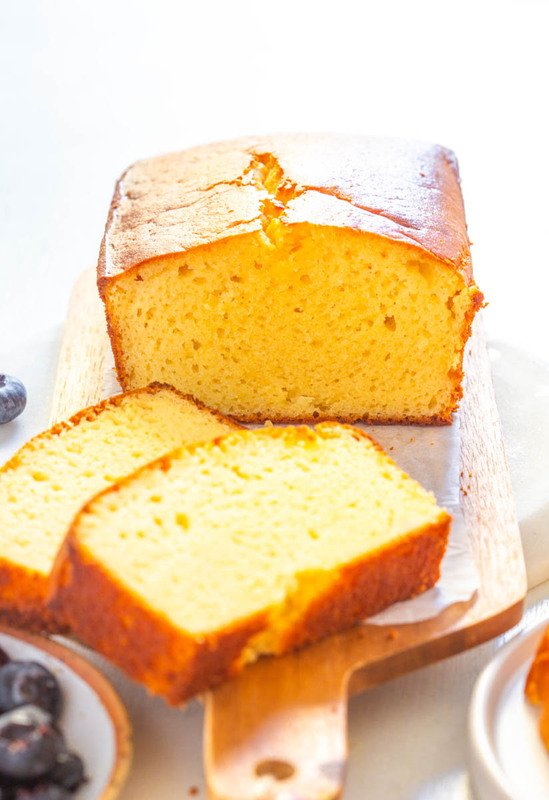 Get more pound cake cooking tips here. Looking for a dinner recipe? You may enjoy my Keto Cheeseburger Casserole. Save the recipe here on Pinterest. 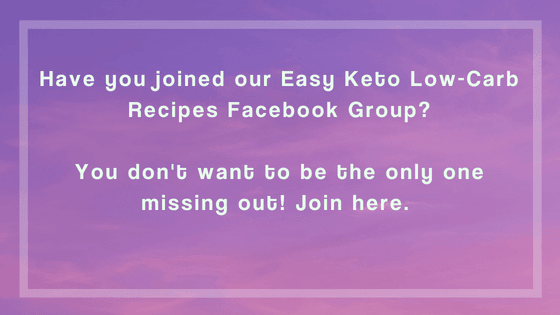 Keto Low-Carb-Gluten Free Pound Cake is a quick, easy, healthy recipe using lemon, almond flour, sour cream, and cream cheese. Make your own sugar-free, no-carb cake mix in no time. You can use a bundt or loaf pan in this recipe. Add blueberries, chocolate, or other carb-free toppings. Coconut flour is not used in this recipe. I used a 9x5 loaf pan, but you can also use a bundt pan. Grease the pan with butter or cooking oil. I used butter. 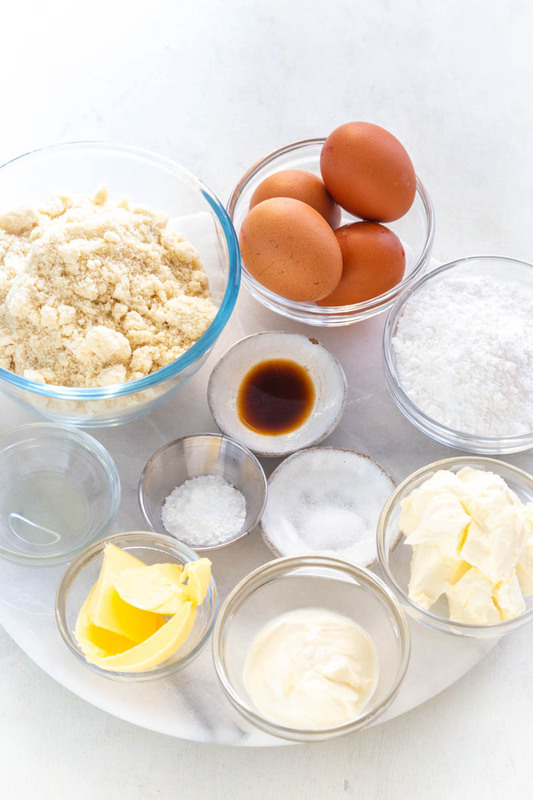 Add the butter, cream cheese, and Confectioner's sweetener to a mixing bowl. 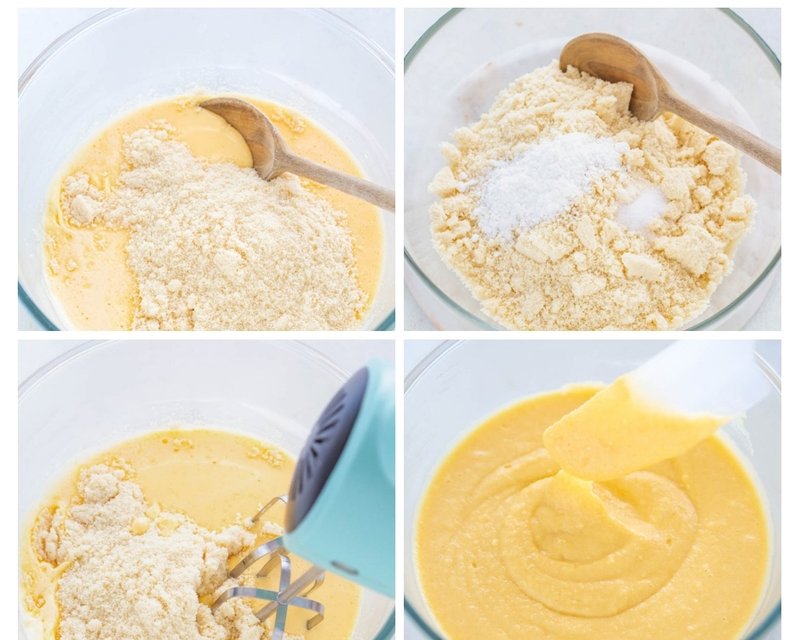 Mix with a hand mixer or standing mixer until the butter and sugar is smooth. Add the eggs, sour cream, vanilla extract, and lemon extract. Mix. Combine the dry ingredients: almond flour, baking powder, and salt in a separate bowl. Add the dry ingredients to the wet ingredients. Mix. Bake for 30-35 minutes. Use a toothpick to gauge when it has finished baking. Insert a toothpick into the very middle. Test if the toothpick comes out clean. Remove the loaf pan from the oven and place it on a cooling rack for 10 minutes. Use a cake spatula to dig into the sides and edges of the cake to loosen. 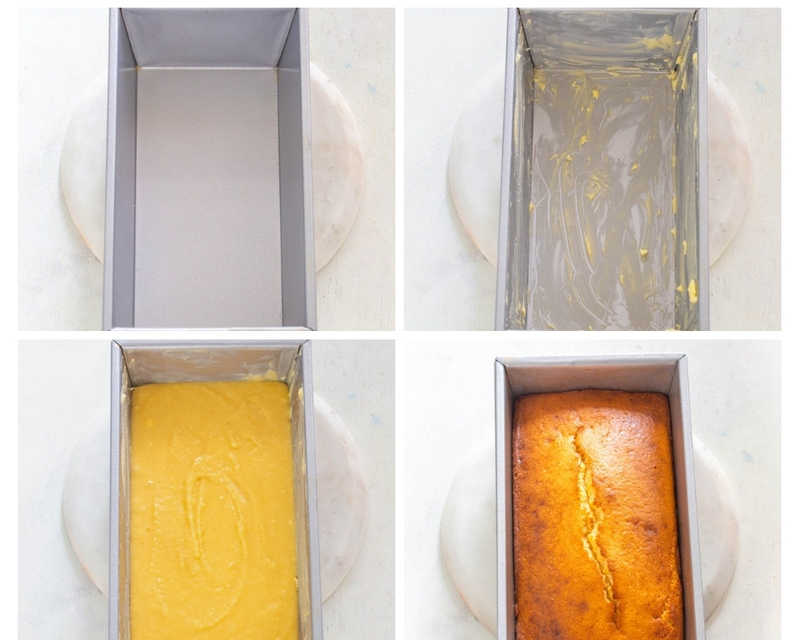 Flip the cake over and remove the loaf pan. Cool for an additional 10 minutes on a cooling rack. Add the whipping cream to a mixing bowl. Use a hand mixer and mix for 2 minutes. Add in the Swerve. Mix until whipped cream forms. Combine the butter, heavy cream, and vanilla. Mix. Add in half of the confectioner's sugar. Mix. Add the other half and mix. This pound cake looks so amazing! Sharing with all of my Keto friends! Such a wonderful dessert! 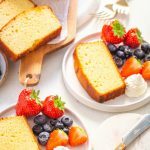 Pound cake is one of my favorite cakes and I love that this version has all the flavors I love but is keto too! Awesome pound cake but I didn’t see how many carbs. Hi scroll to the top of the post. Can I use salted butter? I don’t have any unsalted on hand. I have not tested this recipe with salted butter. I always use unsalted for pound cake.